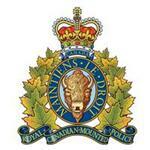 Lethbridge, AB - On Monday, Feb. 22, at approximately 11:30 am, a member of the RCMP Lethbridge Integrated Traffic Unit (ITU) narrowly escaped being run down by a car which rammed his police car after it failed to stop for police near Highway 3, in Lethbridge. While patrolling Highway 3 this morning, the police officer had observed the driver of a silver Honda Civic commit a traffic offence and attempted to initiate a traffic stop of the vehicle. Instead of stopping, the Honda Civic continued driving with the police vehicle following it along Highway 3. The suspect vehicle turned off of the highway and drove into the yard of a construction company located in Lethbridge. The police officer, realizing that the entrance was the only point of access to the yard, stopped his vehicle at the entranceway. The suspect vehicle drove around the yard before turning toward the police vehicle in the entranceway. The Civic drove into the passenger side of the police vehicle with sufficient force to move it sideways, jarring the police officer, who then excited the vehicle. During this incident the police officer discharged his firearm at the Civic. The Civic left the construction yard after ramming the police vehicle and drove back to Highway 3. Police initiated a pursuit of the Civic which was stopped successfully by the deployment of a spike belt at Range Road 255. The three occupants of the Honda Civic were arrested and taken into RCMP custody. No one was injured during this incident and police continue their investigation into the circumstances surrounding this morning’s events. Currently, no additional information is available, however, updates will be made as the investigation progresses.